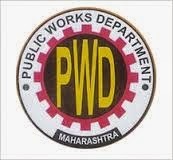 Maharashtra PWD Recruitment 2015: The Maharashtra Public Work Department (PWD), Ratnagiri has announced the recruitment notification for the 252 Mailmajoor, Butler, Peon, Sweeper, Junior Clerk, Telephone Operator, Room Attendant, Watchman and other Vacancies. Many of the candidates waiting for the job recruitment in the state of Maharashtra. Those eligible candidates may apply the online application starts from 29.04.2015 at 12:00 PM and end date of the application 13.05.2015. More details like as the educational qualification, age limit, how to apply, mode selection details are given on this page. The candidates should complete the SSC with minimum typing speed of 40 wpm in English and 30 wpm in Marathi for Junior clerk, Assistant Storekeeper, Reservation Clerk, Telephone Operator post. The remaining post candidates must have the Physical Healthy. Candidates age limit must be 38 years for the reserved category and then age relaxation is applicable for the as per the Government guidelines. The candidate selection will be based on the performance in the written test examination and then shortlisted candidates get the jobs in this recruitment. Candidates must have to pay Rs 300/- for the general category and reserved category candidate pays Rs 150/-. The Ex-Serviceman candidates are exempted from fees. This application fee pays the payment through the Credit Card/Debit Card/Net Banking and Challan to any branch of State Bank India.